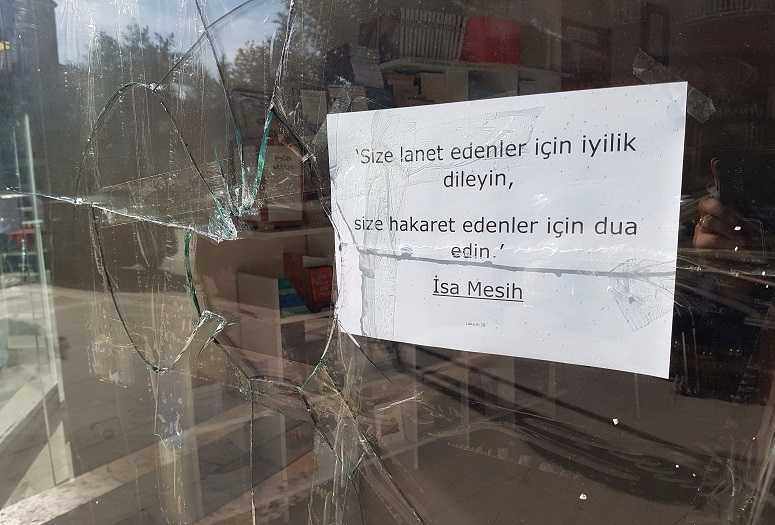 MALATYA, Turkey (World Watch Monitor) — A vandalism attack last week in Turkey’s south-eastern city of Malatya damaged a small Turkish Protestant church. The assault came just two days after the targeting of 13 minority Alevi families in a nearby neighbourhood. Rising sectarian tensions over the two incidents quickly prompted local police investigations, followed by a concerned visit by an opposition member of the Turkish Parliament to meet church members as well as local Alevis, a large percentage of Turkish citizens who follow a heterodox form of Islam. In the new church attack, a lone suspect heaved a brick through the display window of Malatya’s Kurtulus (Salvation) Church shortly before midnight on Nov. 24 and then fled the scene on foot.